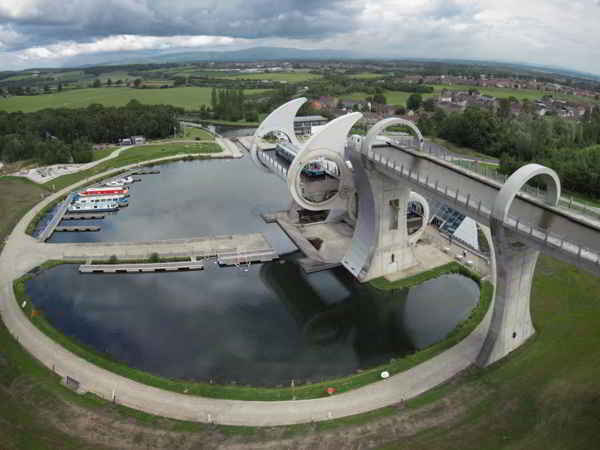 Scotland claims to have an impressive rotating boat lift connecting two canals between Edinburgh and Glasgow. However, things in China work at a different scale. It has been recently opened the new boat elevator to save the Three Gorges Dam (113 m.), lifting vessels up to 3,000 tons in a process of 40 minutes, which prevents existing complex system of locks and more than five hours of travel.